The loss early in June 1788, of the black Cape cattle (four cows and two bulls) landed from the First Fleet late in January 1788, appeared to the young and ill-fed community at Sydney Cove as an “absolute disaster.” But the discovery in 1795 of several herds (totalling over 100 head) across the Nepean River, turned the disaster into perhaps the most splendid and important event of the early years of white settlement in New South Wales, giving an insight and comprehension of the capabilities of this new country to maintain vast herds of excellent cattle. The full significance and tremendous influence of this event quickly appealed to that astute and grand pioneer, Captain John Macarthur (father of the Golden Fleece in Australia). He at once saw the possibilities of the “Cowpastures” country for meeting the requirements of his fine wool sheep, which did not thrive to his satisfaction near Rosehill, and he early lodged an application for a part of that country. But this was opposed by the Governor and his successors, who desired to reserve the area for the exclusive use of the wild cattle, as they had thriven so well there. Captain John Macarthur in connection with his painstaking efforts to improve his fine wool flock visited England in 1801, and succeeded in attracting the attention of those in high places, to the potentialities of New South Wales for increasing the quantity and quality of the fleece to a perfection hardly known elsewhere in the world. Undoubtedly his was the vision splendid. His contentions were subsequently endorsed by Captain John Hunter (on his return to England in 1804). This, together with the “cloth-weaving experts” opinion that the sample exhibited was equal to the best “Saxon” or “Spanish” wools, eventually succeeded in gaining the kindly interest of his Majesty King George, also of the Secretary of State, Lord Camden – Macarthur an area at the “Cowpastures” as an encouragement for his to persevere in his efforts at high-class wool-growing. John Macarthur named his grant “Camden Park” in honour of his patron, Lord Camden. How the First Cattle Were Lost The cattle landed in January 1788, were depastured over what is now known as the “Domain”, being yarded each night near the “farm” (Botanic Gardens). And to prevent them straying a convict named Edward Corbett was made herdsman and given the strictest instructions not to let them out of his sight. All went well until early in June 1788, on returning after dinner, the cattle were missing. Numerous parties were sent out to try and recover the cattle, but after three weeks fruitless search, Governor Phillip abandoned the matter, concluding the cattle had been speared by the blacks, or strayed far into the interior in quest of better feed. There is little doubt that the cattle gradually made their way up George’s River to some point between Campbelltown and Appin, their instinct then impelling them to cross the watershed at the Nepean River in the vicinity of Menangle. This must have been subsequent to August 1790, as Captain Watkin Tench’s was the first white party to cross the Nepean River a little upstream from the town of Camden on August 3, 1790, and they did not see any signs of the presence of cattle. The exploring party also failed to observe any good quality land, notwithstanding that they penetrated almost to the Razorback, which Captain Tench named “Pyramid Hill” on account of its conical appearance. During October 1795, two convicts while on a hunting expedition gathered from rumours among the blacks that cattle existed across the Nepean River. After penetrating to the river they on their return to Rosehill reported having seen a herd. Governor John Hunter was particularly busy at the time, but sent a reliable person to investigate the matter. He verified the hunters’ statement, and set out from Prospect Hill on November 6, 1795 and after travelling for two days in a southerly direction, with Pyramid Hill as their objective, crossed the Nepean (Tench’s Wolgan) and to their surprise and satisfaction fell in with a very find herd of over 40 grazing in “country remarkably pleasant to the eye, and the finest yet discovered in New South Wales, the soil good and eligible for cultivation, everywhere thick luxuriant grass”. This marked contrast to the country’s appearance to Captain Tench in 1790 is accounted for by the long dry period ending in 1792 being succeeded by a bounteous rainfall changing the whole outlook infinitely for the better. The party camped for the night, hoping to see the whole herd next day, and definitely ascertain if they were the progeny of the strayed Cape cattle. 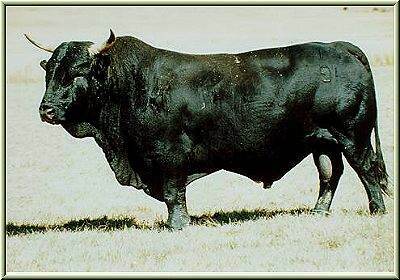 With this object the Governor directed the killing of a calf – but nest morning while lying in wait for the whole herd (60 head) to pass were furiously attacked by the monarch of the herd, which resented their unwelcome intrusion, the party in self defence were compelled to kill the beast, which had all the characteristics of the Cape cattle. The Governor paid a second visit to the “Cowpastures” in June 1796, and ascended the highest point in the neighbourhood (now Mount Hunter), reporting the view from the summit as full of grand objects, wood, water, plains, and mountains. Everywhere on that side of the Nepean River the soil was excellent, and eligible for cultivation. He again visited the wild cattle in September 1799, along a new route westerly of Cobbitty, through good country, and on arrival near Mount Taurus fell in which a fierce herd of about twenty. Their dogs eventually drove off the herd, but in doing so detained a bull calf about six weeks old. The Governor directed its liberation, but, strange to say, the calf would not quit the party, but persisted in running between the legs of the horses and bellowing for the herd. Apprehending great danger to the party if the herd returned, it cries were ended by shooting it through the head – the whole party regaling itself on veal, a rare dish in the colony. Many proposals were made to drive the cattle into the settlement, but the Governor determined to allow them to remain undisturbed: and to guard against any attempt at their destruction he issued a proclamation against anyone crossing the Nepean River without his permission. He also established herdsmen’s stations at Cawdor, Brownlow Hill, and the Oaks in his efforts towards their preservation. But these efforts were eventually frustrated by the settlers raiding the wild herds from time to time to recover their own cattle, whenever they became mixed with the wild stock. In the course of time (say about 1812) the wild herds had completely disappeared, and the name “Cowpastures” gradually dropped into disuse, while the name “Camden” became general for that locality.